Adafruit’s family of Feather boards are simple, compact microcontrollers built to showcase advanced features like advanced processors, radios, or GPS. This Feather board has a built-in radio, tuned for communication over a mile using just a few inches of wire as an antenna. 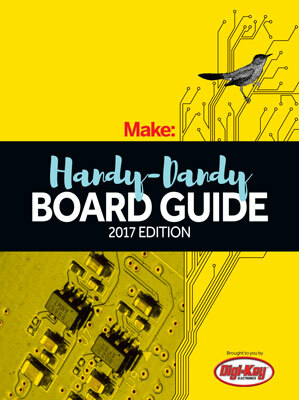 Adafruit has a knack for writing clear, concise documentation that will get a Maker up and running quickly, and these boards are no exception. Adafruit’s combination of hardware and excellent tutorials open up long range radio to the maker masses.